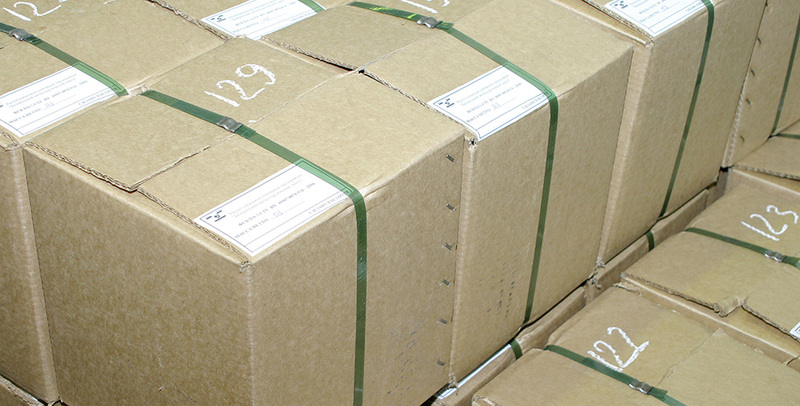 Boxes with fibers are placed to a polyethylene bag as per state standard 10354 in four layers according to a 3х4х4 scheme. The polyethylene bag is located in a box made of corrugated cardboard as per state standard 7376, which consists of a shell having dimensions 1060х800х660 mm, the base having overall dimensions 1075х810х110 mm and a cover having overall dimensions 1075х820х540 mm. Boxes with fibers are placed on a wooden pallet having overall dimensions 1080х820х166 mm in nine layers according to 5х9 scheme. Cardboard boxes and the wooden pallet are wrapped with polyethylene as per state standard 10354. Use of a sticky film is supposed. Steel fibers must be stored in packages, in dry premises. Terms of fiber storage and transportation, as far as impact of environmental climatic factors is concerned, according to term 1 of the state standard 15150. The fibers are supplied as per ту by 400074854.628-2009 (Belarus) and TU 14-1-5564-2008 (Russian Federation).